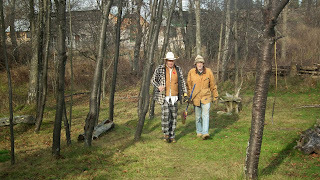 Okay bears and lumberjacks, are you ready to fell one last tree and cuddle one last cub before winter sets in? The gathering season is over, but you can join your fae brethren once more this year on the Land aka AmBearFox. Why is this called a "Work Weekend" not a "Gathering"? At a gathering, everyone is expected to help with a few chores each day. This being a work weekend, everyone who attends should plan on spending a chunk of the daylight hours working on major projects (e.g. 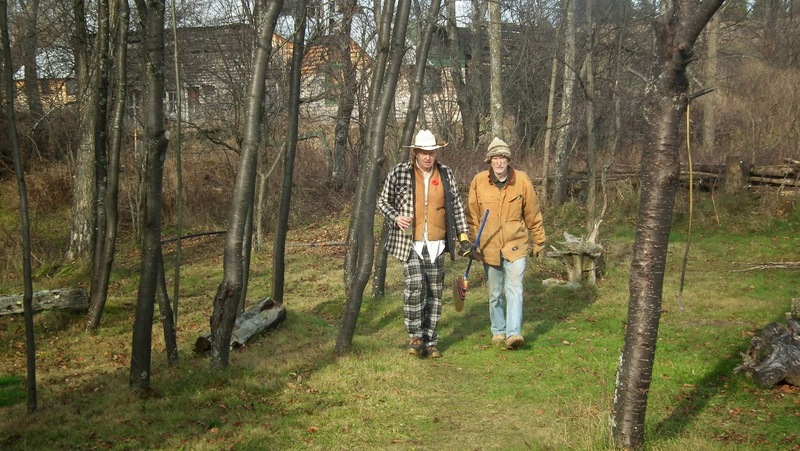 collecting/chopping firewood, construction work), or in support activities (e.g. cleaning, cooking, dishes). At a gathering, the suggested purse contribution is $25 per night. For this weekend, the suggestion is $10 per night ($30 for the full weekend). No one is turned away for lack of funds, but we ask that you contribute something, even if you can only afford a few dollars per night. It is also helpful if you can make your contribution when you arrive, so it can be used for shopping. No morning circles. The next day's activities will be planned at each dinner circle. No organized daytime recreational activities. anything the fae heart can imagine! There is plenty of room for the hardy to tent along the Path of the Snake and in the May Pole field. But many will choose to snuggle in the Bunkhouse or the Departure Lounge. Make sure you bring a warm sleeping bag and plenty of warm clothes! This event is for gay and queer men. If you are a member of our Facebook Group, you can RSVP to the Facebook Event. Otherwise, please email to obtain directions and contact information.